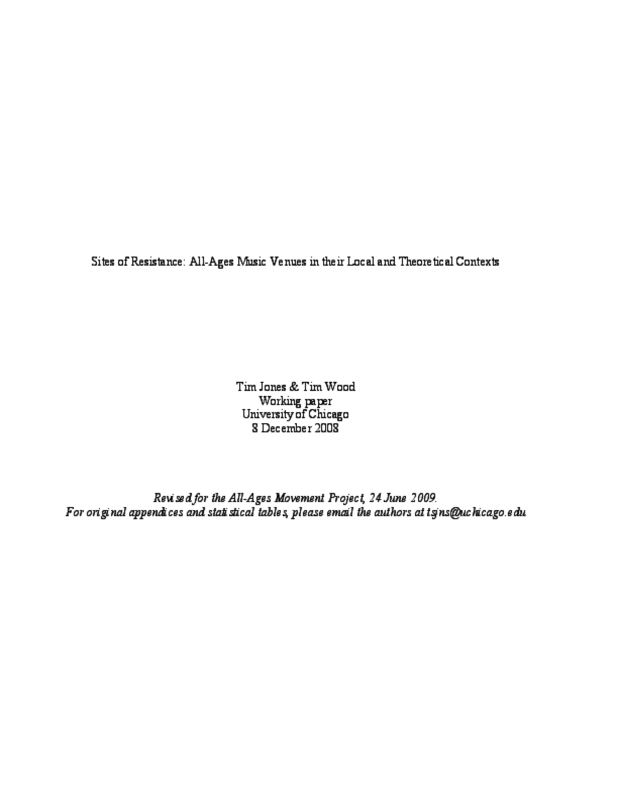 This paper shows how all-ages venues resist and contradict basic assumptions behind sociological, cultural policy and "creative cities" approaches to grassroots culture. We use literature review, geographical analysis, and a sound understanding of the actual nature of all-ages venues to discuss the relevance of these institutions to cultural policymaking and sociological theories of social capital alike. Our first section discusses the rise of all-ages venues in terms of a social movement, and posits the movement as a potential counternarrative to pessimistic visions of the future of social capital in youth communities. In our second section, we discuss the definitional and methodological issues in cultural policy that lead to the overlooking of grassroots, participatory, youth-oriented art worlds like those surrounding all-ages venues. Our third section places the rise of all-ages venues in the context of the "creative class" discourse on urban development. Nearby amenities, arts jobs, and high rents are all conventional signs of flourishing culture -- but are negativepredictors of all-ages venues. Instead, these all-ages venues comprise a set of "sites of resistance" across the country, encouraging youth social capital, leadership development and political organization in anti-corporate, communitarian, and ethically-rooted milieu.